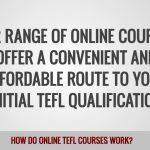 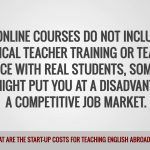 ITTT FAQs – What are the start up costs for teaching English abroad? 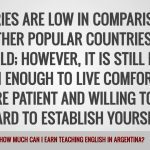 ITTT FAQs – How much can I earn teaching English in Argentina? 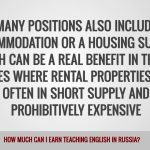 ITTT FAQs – How much can I earn teaching English in the Czech Republic? 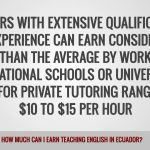 ITTT FAQs – How much can I earn teaching English in Ecuador? 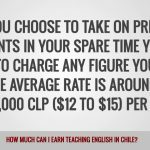 ITTT FAQs – How much can I earn teaching English in Chile? 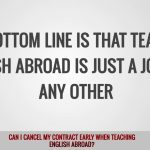 ITT FAQs – How much can I earn teaching English in Poland? 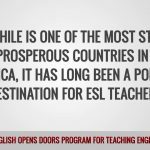 Poland has a huge market for ESL teachers with the most positions available than any other country in the region. 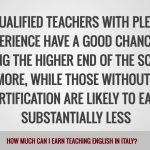 ITTT FAQs – How much can I earn teaching English in Greece? 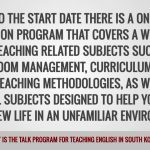 ITTT FAQs – What is the TaLK Program for teaching English in South Korea? 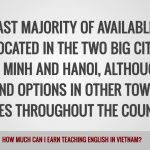 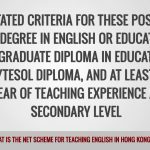 ITTT FAQs – How much can I earn teaching English in Vietnam? 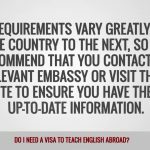 ITTT FAQs – How much can I earn teaching English in Turkey? 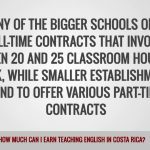 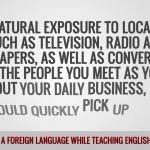 ITTT FAQs – How much can I earn teaching English in Costa Rica?